We are pleased to announce that the Belgian duo is here on our latest edition of Behind the Decks – Raw District. Being on labels such as Crosstown Rebels, Suara, Homecoming music, Defected and recently Innervisions, here is their story and tweaks behind their music. Who is by your words, Raw District? MASSIMO : A modern multiple influences electronic music project rooted by Soul, Funk, Hip Hop and all kind of electronic music which can be called House Music. VERNON : Almost everything I guess, our life experiences, family, friends, people we met, places we visit, … MASSIMO : We have to admit our capital Brussels is an international city like no other.Thirty percent of the population is of foreign origin and this creates a unique atmosphere. Historically, as an international city located at the crossroads of the Anglo-saxon, Latin and Germanic cultures, Brussels has been a center of cultures centuries. Its really inspiring living in Belgium. Can you tell us about how you guys came together and started DJing? MASSIMO : When we were teens we met in a records shop. Buying our first records Vernon told me he was doing some music with his Atari. I think he was kidding and talking about video games … He wasnt ! What was the process of coming up with and perfecting your sound? And what has had the strongest impact on defining it? Your recent signing to Innervisions label must be a bliss, can you tell us more of how it is being part of that label? What is it like to work with influential artists such as Dixon, Ame and more? MASSIMO : Like some other great labels we are lucky to work with such Crosstown Rebels or Moon Harbour, those guys are really professional and got a full time of really engaged people who really want to do the best to give exposure to your music. They exactly know what its good and the best for you and your music. We feel blessed working with them. Your Mixmag featured new banger – “From the inside”. Very curious, what plug-ins and hardware was used to comply the track? VERNON : As most of recent tracks we use Native Instruments Maschine and some Arturia plugins. MASSIMO : There are some amazing drum kits into Maschine you can tweak and get really original results. Your remix of Mark Jenkyns ‘Reach For Me’ is out on Suara. The full EP includes also remixes from Richy Ahmed and Camelphat. Is there a musical element of the original track that stands out to you, and how did you come about to remix Reach For Me? MASSIMO : At the first listening I was really into the vocal gimmick “Reach for Me”. We built a new beat and brought our own vibes and elements around it. VERNON : We wanted something deeper but with a good impact on a floor. Can we expect more releases from you on Suara? MASSIMO : We have a really good feelling with Coyu and we showed a shared interest to collaborate more in the close future. VERNON : I think we planned to do something together already 4 or 5 years ago I guess it’s time to concretize it. Seems that 2017 will be blast for you – can you tell us what Raw District has in store for the rest of the year? MASSIMO : Before the summer we have a new EP coming out on Audiofly’s label Flying Circus including two originals tracks. In July we’ll be back on Moon Harbour with a track on their series “Obituary”. Hopefully some new music for Crosstown Rebels should be done and released before end of the year. VERNON : two new remixes for our label Homecoming Music are already finished and set up for release before the summer. 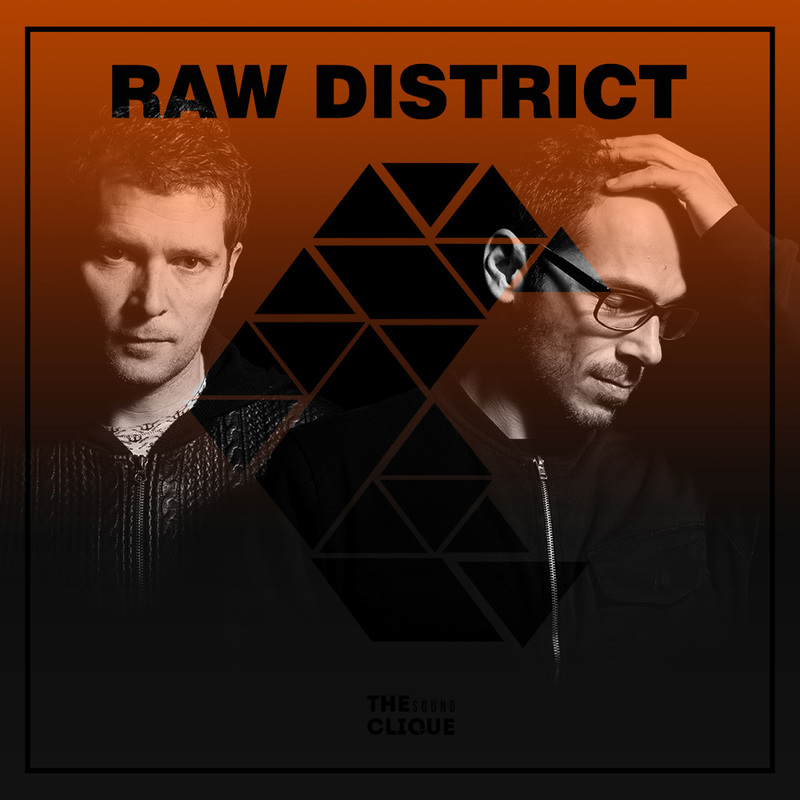 Connect with Raw District on Facebook and SoundCloud.